Vintage Bloom™ contains carefully selected vegetable and herb powders that help keep sickness at bay and the body alkaline. 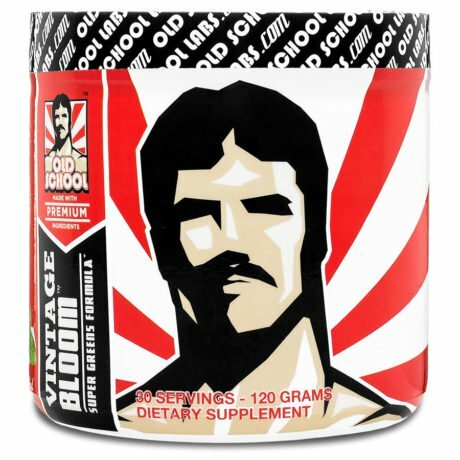 Vintage Bloom™ helps you maintain a robust immune system to keep sickness at bay and allow you to hit the weights the full 365. The natural ingredients in Vintage Bloom™ help your body maintain a healthy pH balance with alkaline support to drive improved overall health. Vintage Bloom™ provides an abundance of antioxidants and anti-inflammatories to help you recover faster and reduce overall stress on the body. Vintage Bloom is part of our Health & Vitality supplements range. We created it because achieving a balanced, head-turning musculature should never come at the expense of your health. Leafy greens have immense health benefits. Yes, your mother was right all along. They provide your body with a broad range of important nutrients that can affect functions ranging from your heart to your immune system, bones and muscles, and everything in between. Yet we don’t consume enough green variety in our daily food. Moreover, hard workouts and training can cause serious stress to your immune system. This can leave you vulnerable and more susceptible to illness. 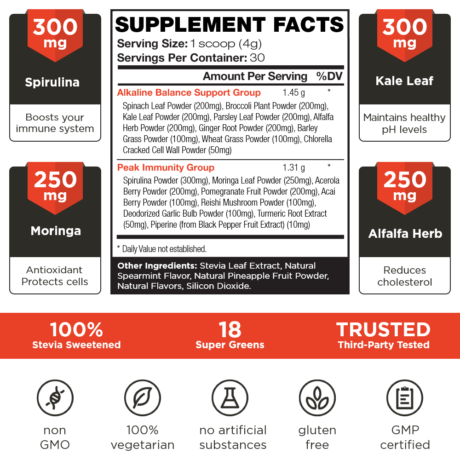 Vintage Bloom is an all-natural super greens supplement. 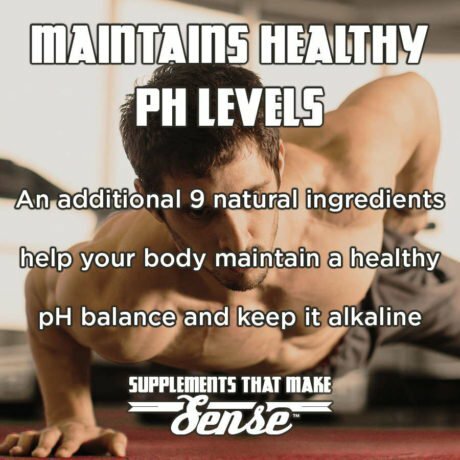 It is specifically formulated to support peak immune system health and maintain healthy pH levels within the body. Our potent combination of vegetable and herb powders is also designed to help you stand up to any nasty microbes looking to invade your system. So stop wasting money on “miracle” cures – and start getting the best immune support to keep you in top shape year round today! At Old School Labs™, we set out from the start to be a premium and uncompromising brand, delivering exclusively premium products. We sell our products directly to you and are therefore able to afford including only the best quality ingredients in all our products. Press More to read about the ingredients you will find in Vintage Bloom™ in descending order of weight. Aids in the strengthening of the immune system. Also has antioxidant properties and contains an abundance of necessary vitamins. Contains nutrients for essential functions of the heart and other organs, and aids digestion. Helps to maintain healthy pH levels and support proper function of important organs. Provides crucial vitamin complexes and minerals for a healthy immune system, strong bones, and a well-oiled central nervous system. Aids in both short-term recovery and long-term health. Has been shown to reduce cholesterol levels in the body. Helps reduce inflammation and maintain stomach and intestine health. Contains B vitamin complexes that help in the conversion of carbohydrates into energy. Contains vital vitamins and minerals, including calcium and vitamins A, C, and E, that support immune health. Provides fiber, vitamins and minerals to the body. Abundance of benefits include immune system support and protection against viruses. Contains key vitamins and minerals that act as antioxidants to help protect cells against damage. High vitamin C content and antioxidants for quicker recovery and waste elimination. Rich in antioxidants, which provide immune system support and aid in proper waste elimination. Also promotes blood flow and heart health. Contains both anti-inflammatories and antioxidants for peak immune support. Promotes immune system health while reducing stress. Has also been shown to improve sleep and decrease fatigue levels throughout the day. 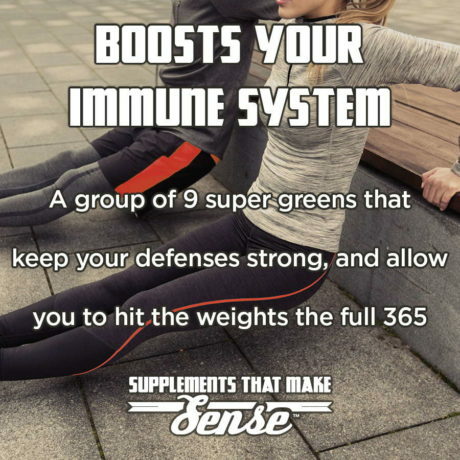 Supports the immune system through its antioxidant content. Has also been shown to reduce cholesterol and lower blood pressure. Contains nutrients that reduce inflammation in the body to help promote quicker recovery. Stevia leaf extract is a calorie-free natural sweetener, added to complement the natural taste of the fruits and greens in the formula. Natural extract from the spearmint leaf added to provide a subtle crisp and clean hint of mint. 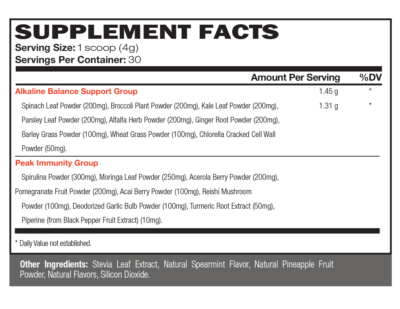 Natural pineapple powder is added to complement the flavor profile of the fruits in the formula. Only natural flavors go into our refreshingly crisp tastes. Countless iterations of taste-testing allowed us to arrive at a natural tasty flavor. This vegetarian-friendly compound, naturally found in many foods, is used as a flow agent to aid the manufacturing process and ensure that each bottle of Vintage Bloom™ is made to the most exacting specifications. For use as a dietary supplement. Mix one scoop with at least 8 oz. of water or juice, or add to your favorite shake or smoothie. For best results, use for at least 3 months to help establish good nutrient levels in the body. What is the ORAC value of Vintage Bloom™? The ORAC value (total antioxidant capacity) of Vintage Bloom™ is 72,700 TE/100g, which is considerably higher than most fruits and vegetables. How will Vintage Bloom™ help me? 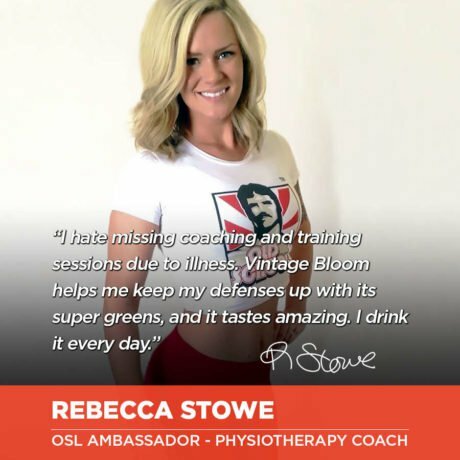 Vintage Bloom™ will help you stay in top shape by helping to boost your immune system, maintain natural pH levels in your body, and reduce stress from everyday activities. 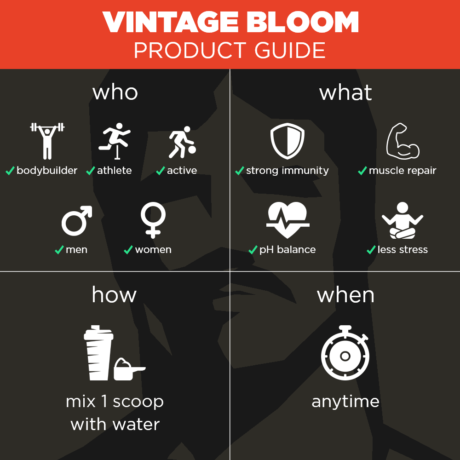 Should I take Vintage Bloom™ on days when I don’t work out? Yes, we recommend daily usage to help maintain general health and keep your body flooded with healthy antioxidants. Can Vintage Bloom™ be used year round? Yes, Vintage Bloom™ can be taken throughout the year to help promote recovery, immunity, and general health. Why is Vintage Bloom™ in powder form? We designed Vintage Bloom™ as a powder to make it easier to get the dosage you desire and to enable mixing with your favorite beverages. Can I mix Vintage Bloom™ with any beverage? Yes, Vintage Bloom™ works equally well with water, juice, or your favorite shake or smoothie. The possibilities are endless!